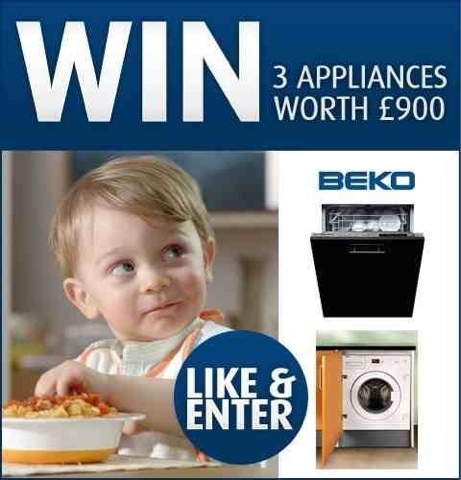 There’s currently a competition on Facebook to win some kitchen appliances. Im not promoting it in any way I hasten to add! All you have to do is ‘like’ the page to enter the draw. It’s accompanied by a picture which I’ve included in this blog. Now is it me, or do the words just under the child seem a little inappropriate? This entry was posted in Humour and tagged child, competition, facebook by headinablender. Bookmark the permalink.